Surprisingly, many Canadians don’t bother reading labels on the food products they buy. Even for those who do read them, they are often confused. In general, food manufacturers are ashamed of many of the ingredients they put into our food so they do everything in their power to mislead consumers. Here are three examples of ingredients that are prevalent in processed foods: Monosodium glutamate or MSG, high-fructose corn syrup or HFCS and trans fats. Most people know that it’s best to avoid consuming these “foods” but they are unaware of the pseudonyms that are employed to fool us into complacency. 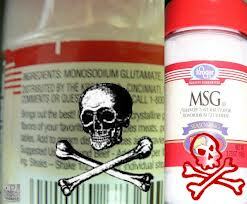 Monosodium Glutamate: MSG is added to enhance the flavor of food. 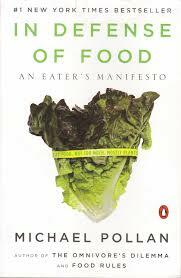 It is common in restaurant foods, canned soups and dinners, frozen dinners and many other processed products. Why it’s not good for us: MSG is a neurotoxin, exciting areas of the brain artificially and causing severe reactions in some people. Others have minor reactions. protein fortified, rice syrup, seasoning, smoke flavor or flavorings, sodium caseinate, soup broths, bouillon, soy protein, soy sauce, spice, texturized vegetable protein, whey protein, yeast extract, yeast food, and anything enzyme modified, soy fortified and fermented, could be hiding MSG. High Fructose Corn Syrup: HFCS is a cheap alternative to sugar made by adding chemicals and enzymes to and significantly altering corn. Manufacturers love it because it is sweeter than sugar so they need less, it’s cheaper than sugar (largely because of government corn subsidies and taxes on sugar imports), and there is some evidence that it is more addictive than sugar, ensuring repeat business. Why it’s bad: Experiments on rats show the message of satiety usually sent to the brain after sugar consumption is altered or non-existent from HFCS. This explains the addiction and the over-consumption of products containing HFCS and why this product is suspected of significantly contributing to the obesity epidemic. Studies also suggest it often contains mercury, for which there is no safe level. The HFCS industry touts it as “natural” because it is made from corn, which is a very bad joke. 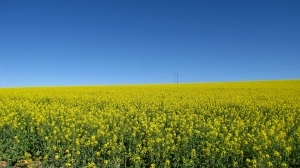 By the time corn is bombarded with various chemical processes, it is far from natural. agave syrup (but not always), chicory, corn syrup, crystalline fructose, dahlia syrup, dextrose, fruit fructose, glucose syrup, glucose-fructose syrup, glucose/fructose, high maltose corn syrup, inulin, isoglucose, maize syrup, maltodextrin, syrup powder, tapioca syrup. 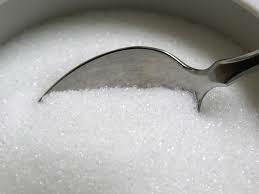 Corn producers have recently petitioned the FDA for the right to call it “corn sugar”. Beware that unscrupulous producers add HFCS to honey and maple syrup. Know your suppliers! Trans fats: Because of recent media coverage, most people know that they should avoid trans fats but they don’t know why or what they really are. Decades ago Ancel Keys hypothesized that the consumption of saturated fats, mostly from animals, had a direct effect on heart disease. Keys selectively used the data he collected in six countries (ignoring data from 22 others that didn’t fit his theory) to prove his foregone conclusion that saturated fats are unhealthy. In collusion with governments and health care providers, manufacturers rushed to replace animal fats with cheaper vegetable oils, chemically treated to be solid at room temperature and therefore mimic animal fats. 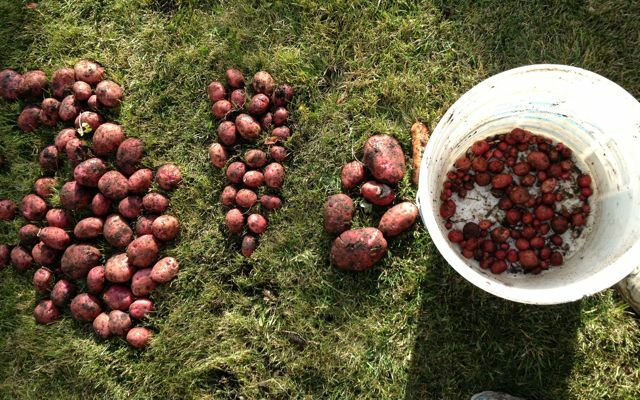 They enjoyed the added bonus of longer shelf life for their products, reducing costs and food waste. 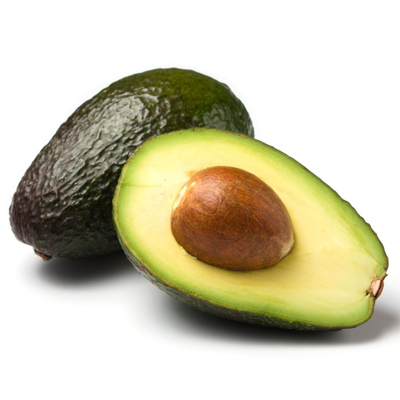 Unfortunately the human body does not recognize these fats as real food and doesn’t digest them properly. Ironically they are thought to cause heart disease, diabetes and cancer and contribute to the rise in obesity in North America. There is no safe level of trans fat consumption. In Canada, if a product contains less than two grams of trans fats per serving, the manufacturers can claim that it’s trans fat free. Of course they often base their claim on ridiculously small serving sizes: ever see anybody eat just ONE cookie? edible oils, hydrogenated vegetable oil, margarine, non-hydrogenated plant shortenings made from naturally saturated palm oil, coconut oil and palm kernel oil, partially hydrogenated vegetable oil, partially-hydrogenated plant oils, shortening. Most fried food contains trans fats as high heat also alters the composition of oils. Avoiding these three substances is easier if you stick to whole real food. Prepare larger quantities of homemade foods and freeze extras in individual portions to replace canned and frozen dinners. 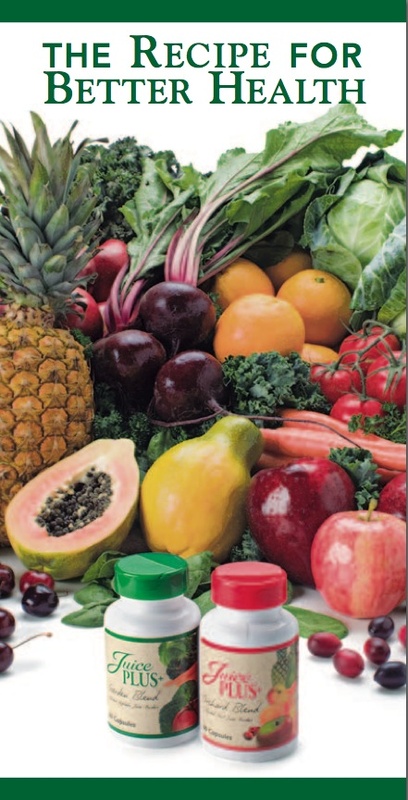 Replace prepared foods with fresh vegetables, salads and fresh fruit. Use real oils like coconut oil and butter for frying, (which should be done infrequently) and use extra-virgin olive oil and raw nut oils in salad dressings and marinades. Honey, agave and stevia are the best sweeteners to use. Better still, satisfy your sweet tooth with fresh fruit, which comes with the added bonus of fibre, and vitamins and minerals to help your body manage the sugars they contain. When dining out ask for MSG, trans fat, and HFCS-free choices or frequent those establishments whose policy is to serve whole, real food. I recently ranted about butter vs margarine (see article here). I came out in favour of butter. I stopped ingesting dairy in January 2012. Every year I try to make a change to improve my health. I decided to try eliminating all dairy products. Truthfully, dairy hasn’t agreed with me since I was a child. My grandparents had mixed farms, including a few dairy cows. We drank warm milk, fresh from the separator (a machine for separating cream (milk fat) from milk). I never liked warm milk with the fresh froth on top. It tasted like cow. In fact milk has always tasted off to me. (When my kids were little and drank milk I could never discern whether the milk in the carton was sour). But buying into the “dairy is essential to good health” mantra, I sought palatable forms. I liked cottage cheese and other soft and hard cheeses, sour cream and ice cream. Cream didn’t bother me and I would pour it on my cereal instead of milk. I drank chocolate milk and added milk to soups in an effort to consume dairy. One day about 20 years ago, I had a Dairy Queen strawberry milkshake, my favourite rare treat. Within an hour my intestines were twisting. I felt like I had a couple of sumo wrestlers in there. It lasted for several hours, tempting me to go to Emergency more than once. I noticed discomfort with other ice cream so I eliminated it from my diet for five years. 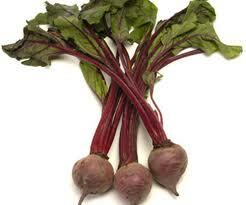 When I reintroduced it, it was occasional and only high-quality varieties. By the time I gave up dairy, I was eating cheese once per week, cream on berries occasionally, ice cream twice a month. I would add a tsp of butter to steamed veggies or to fry a free-range egg. A pound of butter would last a month or two. Post snore, I find coconut oil is a suitable butter substitute. Now that I’ve tasted ice cream made with coconut milk I will never go back to dairy: no cow taste and no mucous! Almond milk is another product that I use. I find it works in most places milk is required. I am conflicted. 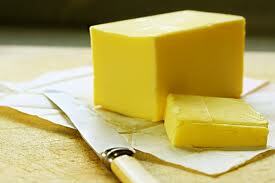 Butter is natural. Modern dairy operations are CAFO’s (Confined Animal Feeding Operations). Milk from grass-fed, hormone-free, pesticide-free cattle is nutritionally superior to milk from CAFO animals. It has more vitamins and more healthy fats. Animals in CAFO’s are sick. They need antibiotics to survive like junkies need heroine. They live and produce for only a fraction of their natural life expectancy due to inferior feed and the stress of CAFO life. I was taught that we don’t eat sick animals or their products. CAFO milk is sick. Therefore so is its milk fat (butter). Modern dairy processing further renders milk indigestible and void of most of its celebrated benefits. Pasteurization and homogenization threaten enzymes, kill beneficial bacteria and change the structure of the milk and, some claim, affect our bodies’ ability to assimilate it. Pasteurization is unavoidable for big dairy operations but small farmers can safely distribute unpasteurized products. The pro-biotic benefits of raw milk are real. Unfortunately, raw milk farmers are often persecuted in North America so it’s tough to find suppliers. Some experts claim adult humans are not designed to eat dairy. After age four, the majority of us lose our ability to digest lactose. Asian and African populations have particular difficulty digesting dairy. One researcher suggests one’s blood type may affect the ability to digest dairy, with B and AB tolerating better than A and O types. If that were true, I would be able to tolerate dairy. But just because it’s not true for me, doesn’t mean it’s not true for another. When they learn I avoid dairy, people are alarmed. Where do you get your calcium? What about osteoporosis? I get my calcium from greens and nuts. Dairy isn’t the only food with calcium. 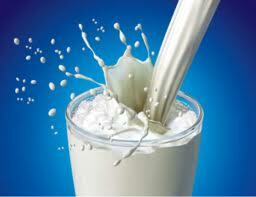 Osteoporosis is higher in countries with high dairy consumption. The fact is milk causes acidosis and the body leeches calcium from the bones to neutralize the acid, causing bone thinning. Calcium from cow’s milk is not very bio-available. The official recommended intake for calcium is high because the body can only use a small portion of calcium from dairy. Incidentally, my latest bone scan indicated I have bones of a 20 year old. The technician raved that I must be a milk drinker. He was dismayed when I revealed the truth. If you do consume dairy, seek products that are from grass-fed cows, unpasteurized, and organic, (no hormones, antibiotics, pesticides and no unnatural feeds like ground up carcasses). Ideally you know and support your local farmer. Consider goat milk, which is more easily digestible than cows’ milk, having a molecular structure closer to human milk. Goats are not generally subjected to CAFO life and appear to leave a smaller “footprint” on the earth. When I was in Arizona I drove by a dairy farm that was miles and miles of Holstein cows standing in their own feces, forlornly searching for food and stimulation, a black and white wall of despair. There are many good reasons to avoid dairy but the most important is I feel better. I sleep better. If you have mysterious illnesses for which you’ve found no solution, consider giving up dairy for a short while. You might find solutions to heath issues you don’t even know you have. I have a confession: I drink bottled water! The recent vilification of bottled water drinkers is most disturbing to me. I’m not oblivious to its negative impact on the environment and the overall absurdity of paying for water. Lately, news of the danger of plastic drink containers leaching harmful chemicals into their contents, the environmental costs of transporting water, and the problem of properly disposing of the containers (recycling) have caused some to re-examine the intelligence of consuming bottled water. Some jurisdictions are even toying with banning the sale of bottled water. 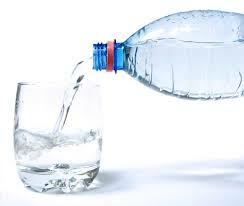 I embraced bottled water years ago, not for the fad but the taste of it. I despise soft drinks; too sweet, too fizzy (make me belch; not becoming) and loaded with harmful substances. I’ve never liked the taste of coffee or tea, except some herbal teas. So I drink water. Before bottled water my request for water with my burger was met with a disdainful glazing of eyeballs. I had to endure tap water in wax-lined paper cups, invariably with ice that tasted of dirt and refrigerator. Usually it was dispensed from the wash-up sink, an area of questionable sanitation. Depending on the season, there was an added cocktail of chlorine and dissolved organic matter that had surpassed the city’s treatment capabilities. I was often charged for this swill, because, I was told, of the cost of the cup! I grew up on non-chlorinated well water so tap water smells (and therefore tastes) like a toilet or a swimming pool to me. The only way I can stomach the water I order in a restaurant is to get a lemon slice with it. Not every restaurant or vendor provides lemon (and one study found the germs from the bar staff’s hands contaminate the water via contact with the lemon skin). I also object to the fluoridation of public water. Our city added this toxic industrial by-product to our water for 20 years. (Council recently voted to abandon the practice, citing cost savings). My consumption of water greatly increased with the installation of a water cooler in my home. Sure, I could have a container with a filter in my fridge but I’ve been turned off by the mold on other people’s filters and that “fridge” taste of their water. Now that I’ve defended my reasons for choosing bottled water, I want to know why has not one word has been breathed about banning soft drinks! Soft drinks also come in plastic bottles capable of leeching noxious chemicals into their contents. Perhaps nobody cares because soft drinks are already loaded with sugar or (neuro-toxic) artificial sweeteners and other chemicals like phosphoric acid, a known dissolver of bones and other mineral compositions in the body. Most also have caffeine, another culprit in the deterioration of our health, especially when over-consumed. Why is there not a movement to save the environment by not transporting soft drinks? How much global warming could be reduced if there were no plants churning out thousands of bottles of pop each day? And no trucks delivering it to stores? Or no refrigerators to keep it cold, at the ready for thirsty customers? Sure, the odd school board has banned non-nutritious beverages from their vending machines. But parents routinely fill their shopping carts with soft drinks and buy their children fast food meals, which often include a soda with their deep fried entrees. Then they wonder why their children are threatened with obesity. (Clearly good nutrition is not motivation for the average parent’s choices). Why aren’t they connecting the dots? Significantly more bottled soft drinks are consumed than bottled water but there is no squawking about all the non-recycled pop bottles or the cost of transporting that product. Perhaps it’s because shutting down Coke and Pepsi is not an option: too many people own their stock and rely on their products to get through the day! Their consumption is so pervasive in the general population that banning soft drinks would be akin to banning coffee. Admittedly, not all bottled waters are created equally. Some water comes from springs and other so-called natural sources, but nobody is required to measure the purity of it. That muddies the waters, so to speak, for me. Other brands are filtered tap water; some taste better than others. Coke’s Dasani is filtered tap water with salt, which accounts for its odd taste. It may seem stupid to you that I pay for filtered water; I will admit it is arguably rather frivolous. But if that’s what it takes for me to drink the recommended eight or so glasses of water each day, nobody should have the right to tell me I can’t take delivery of it in a bottle, just like my colleague’s Diet Coke.